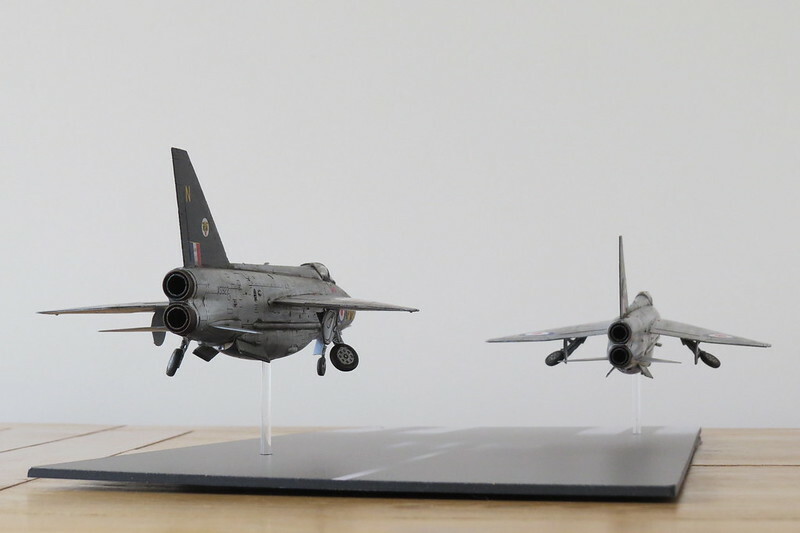 I must say, that is quite effective as a diorama. 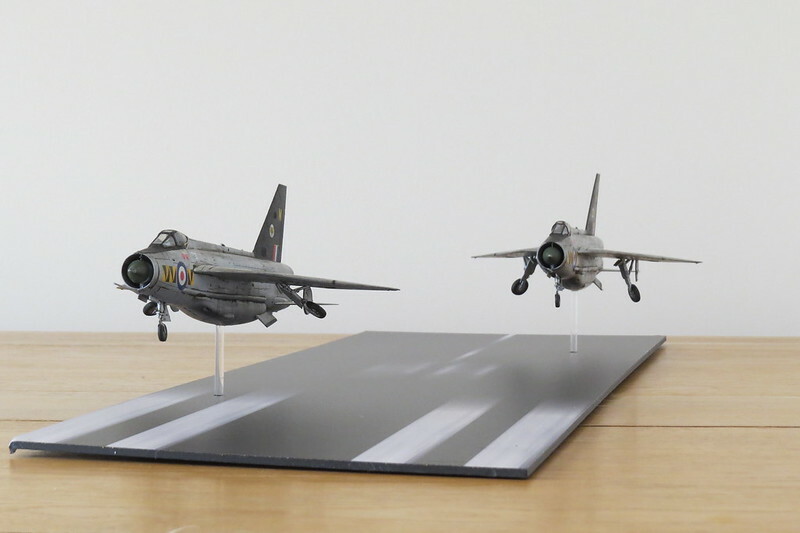 I can almost hear those four Avons roar! 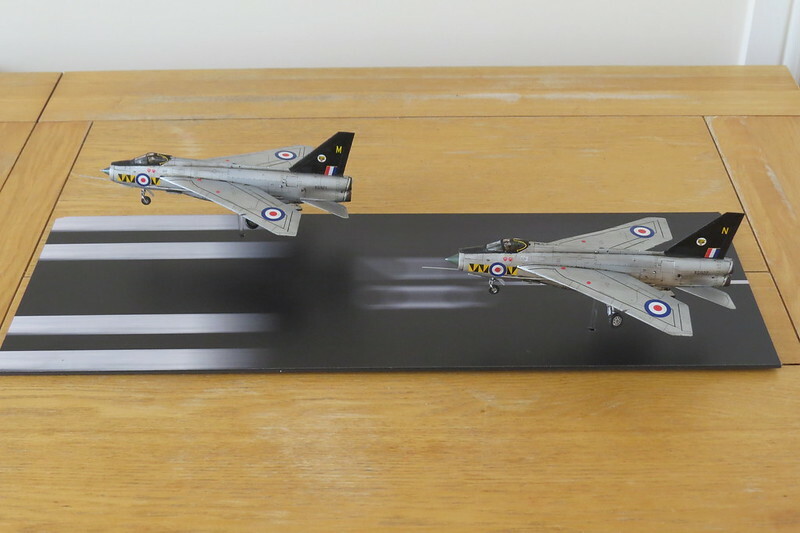 And I thought it was us Brits who were meant to be understated ? 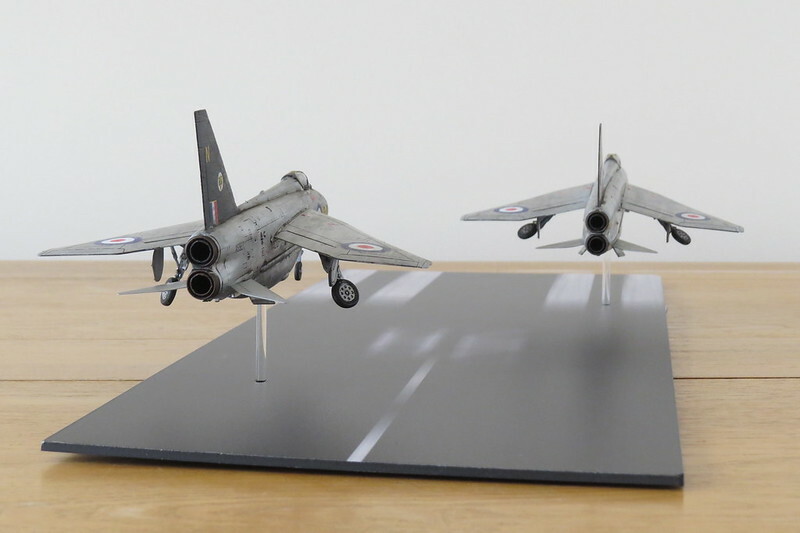 Very good ... 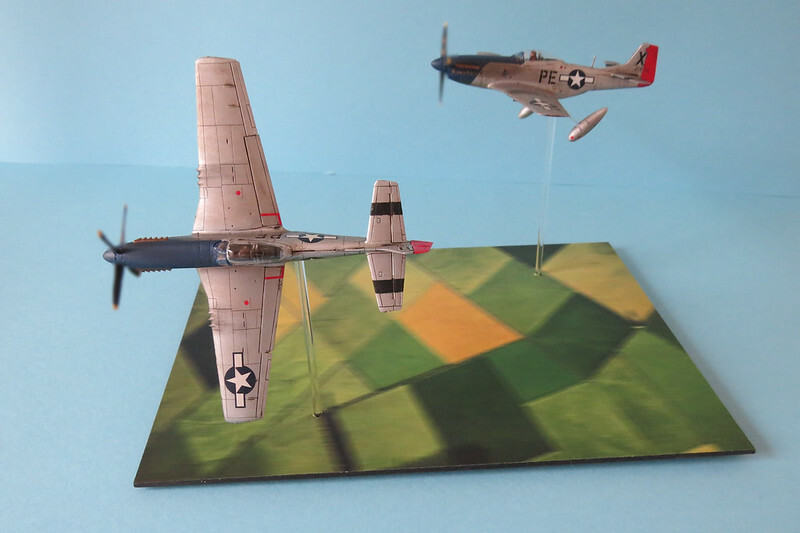 Very, very good job, sir! 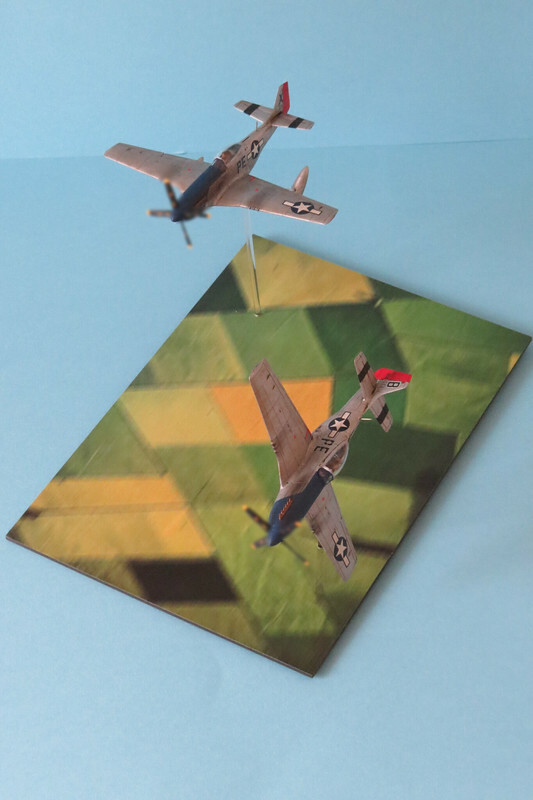 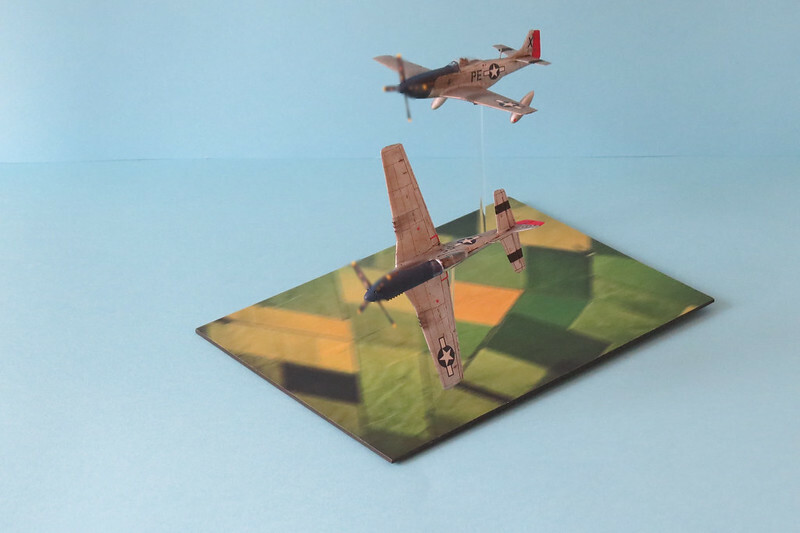 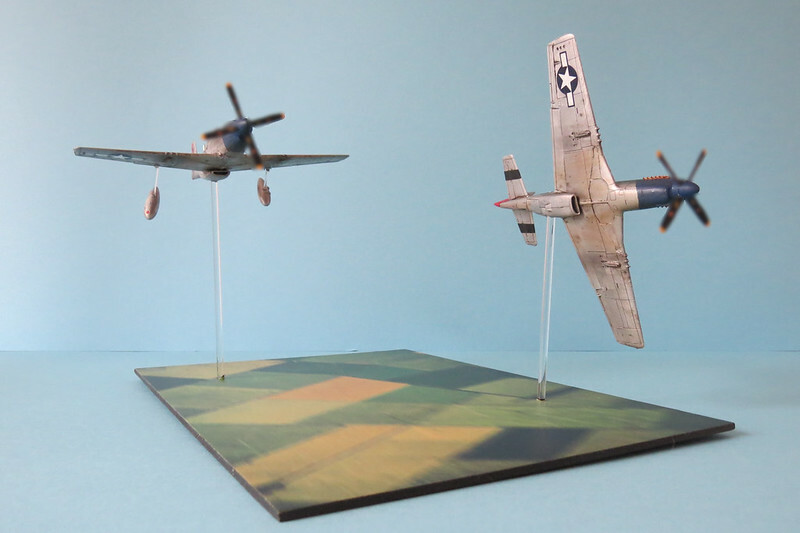 Latest in-flight diorama depicting 8th Air Force Bodney based Mustangs ditching tanks before breaking into the enemy. 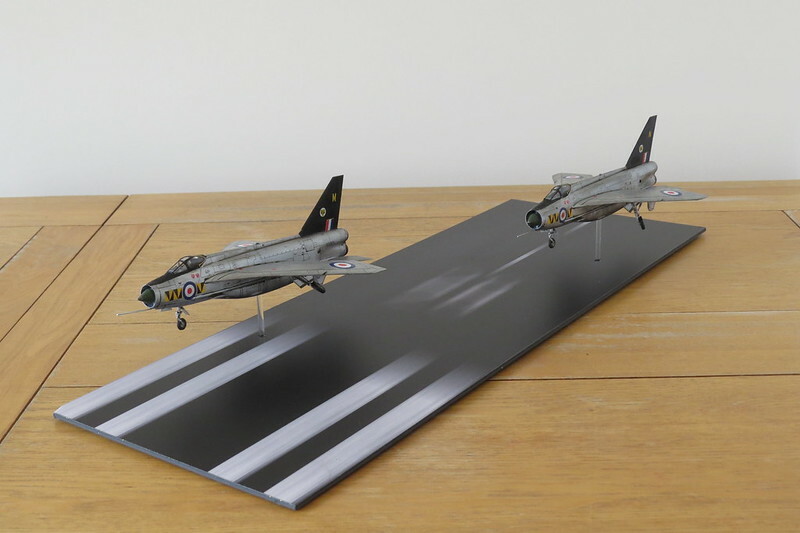 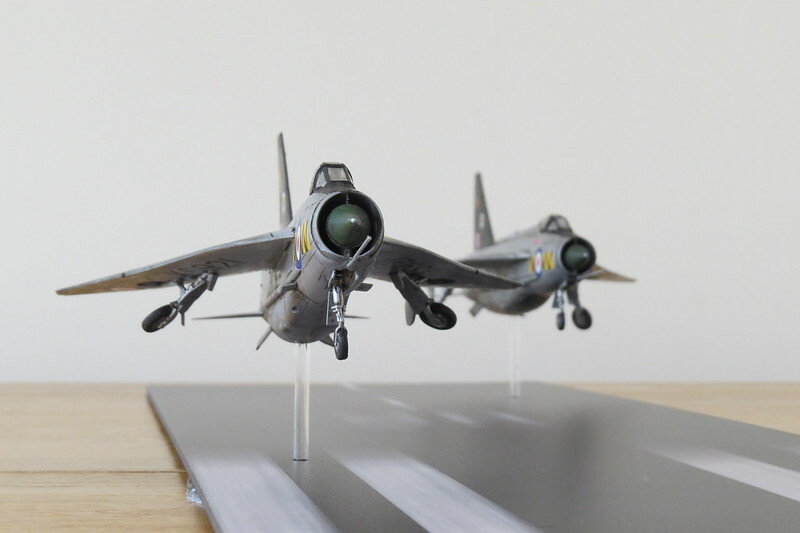 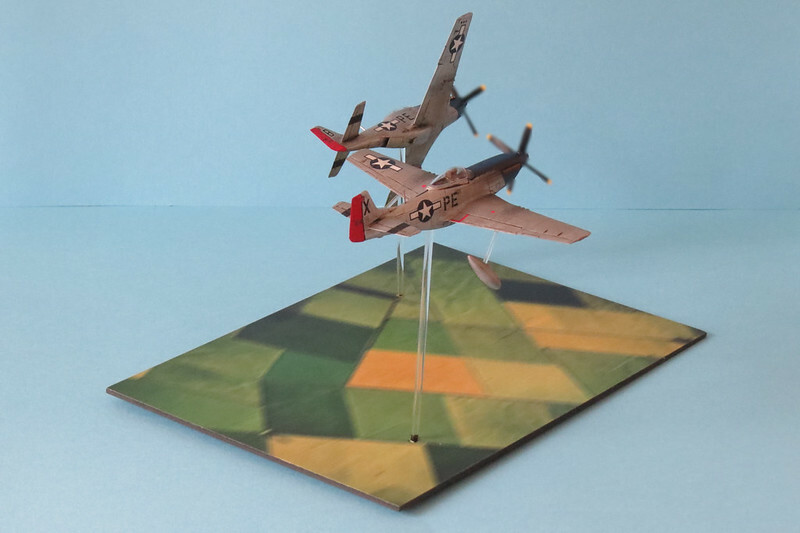 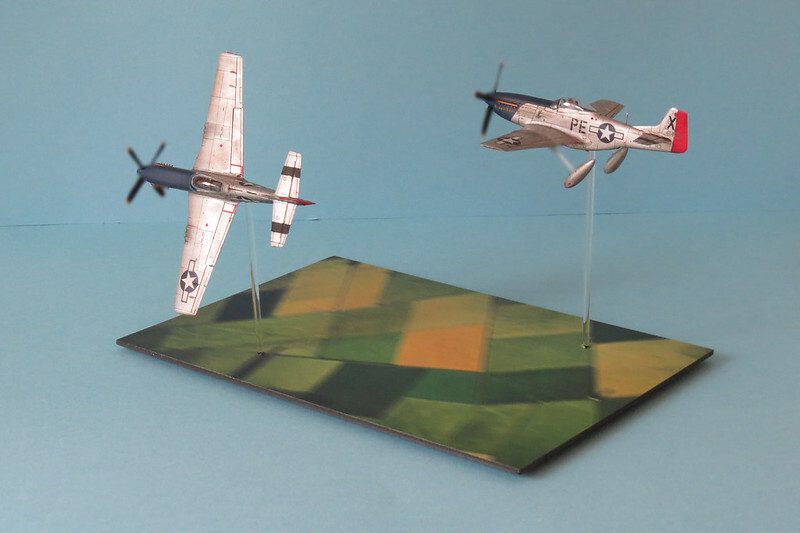 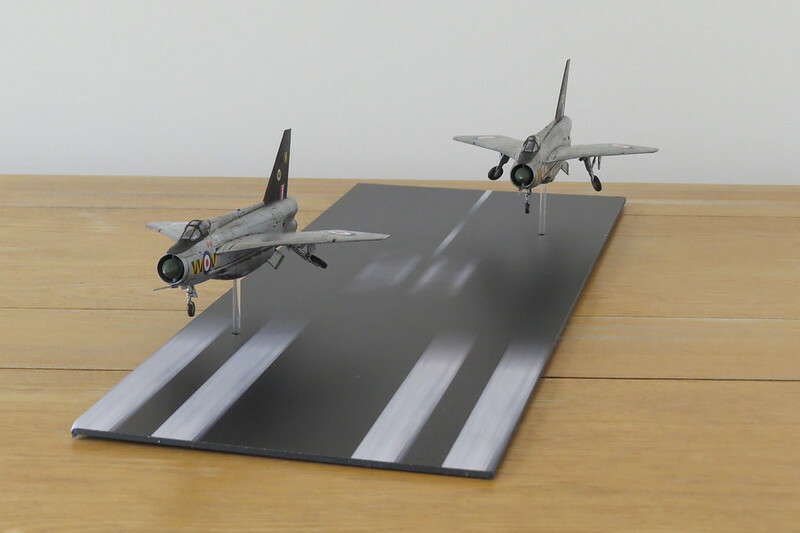 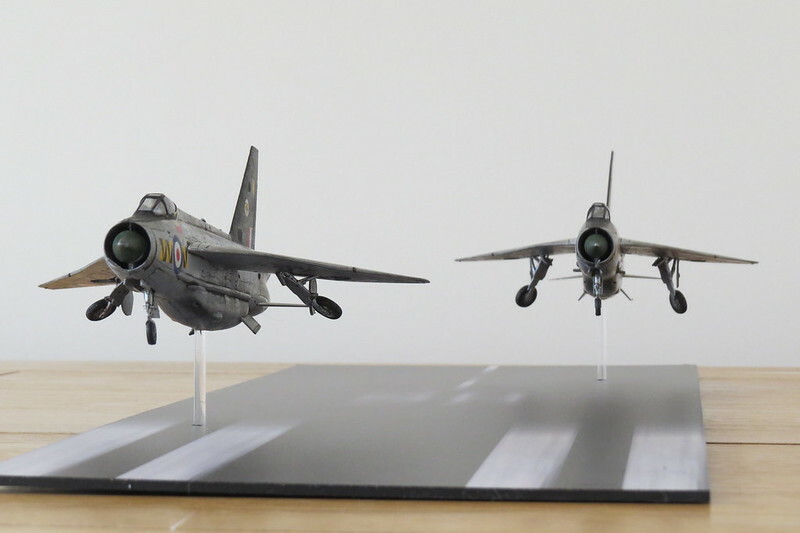 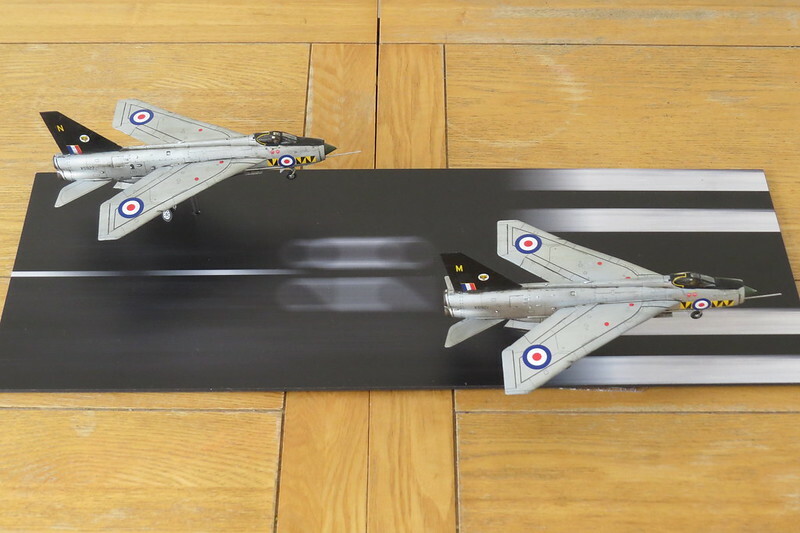 Airfix 1/72 scale Mustangs and `blurred` base from Coastal Kits. 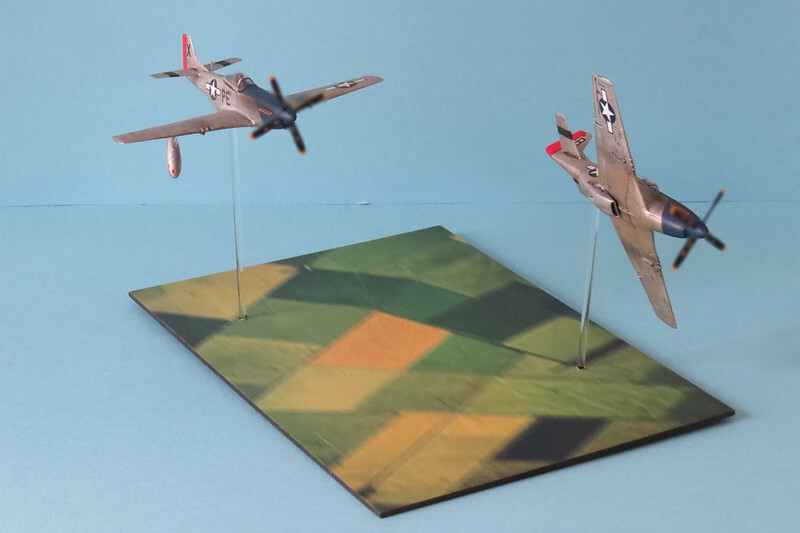 (Prop blur courtesy of Flickr photo editing). 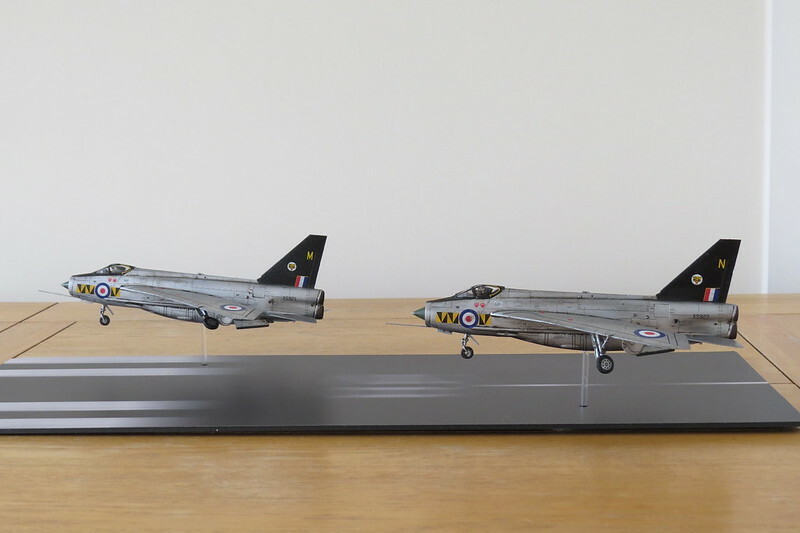 Second that, very nice display!